In 1987, the Harlem Office was created to provide the residents north of 96th Street with easy access to the resources of the District Attorney’s Office. 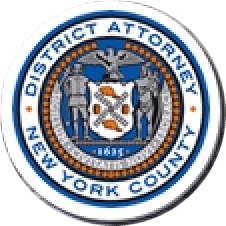 In March 2015, District Attorney Vance opened an additional community office on West 166th Street in Washington Heights. Both offices address problems relating to domestic violence, immigration fraud, and other issues crucial to the communities, serving as a vital link between residents and law enforcement officials. On-site Spanish speakers and other translation services are available at each location, and children are welcome. Those seeking help are encouraged to reach out regardless of their immigration status – we are here to help you. Coordinating the High School Summer Internship Program, Saturday Night Lights Program, and Reentry Forums. Collaborating with the community through outreach, education, and training. Educating the community about fraud to help residents avoid exploitation. Providing victims with case information and answering questions about the criminal justice process.